Product prices and availability are accurate as of 2019-04-20 08:18:57 UTC and are subject to change. Any price and availability information displayed on http://www.amazon.com/ at the time of purchase will apply to the purchase of this product. 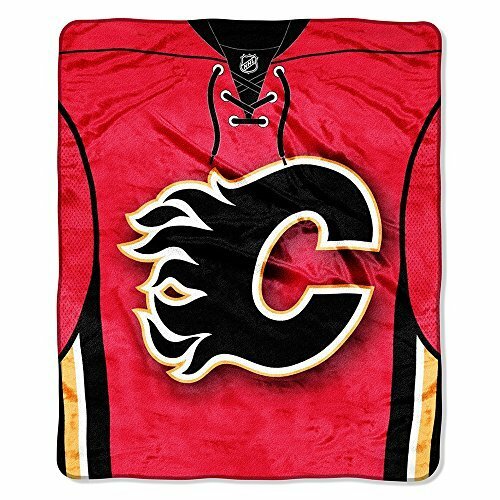 Wrap yourself in an OFFICIAL NHL "Jersey" Rachel Throw by The Northwest Company as alternative to an actual jersey! A luxurious throw: super plush, super warm, and super colorful; this material is known for its rich saturated colors, and exceptional durability. These raschels can be used at the game, on a picnic, in the bedroom, or cuddle under it in the den while watching the game. The throws measure 50"x 60" with a decorative binding around the edges. 100% Polyester. Machine washable.